"Xtal" samples "Evil at Play" from Various - Atmospheric - Vocal. Can someone tell me how this remaster sounds different from the release AMB3922RM? Wow, this 2018 pressing sounds amazing. I'm not usually picky about that sort of thing, but it just sounds incredible. It actually blew my subwoofer and I'm not even mad. Bought from Bleep. The bass is completely overpowering and the melody is quiet in Ageispolis, making it hard to listen to even after fiddling with the bass / treble volumes. Quite a shame given how good the music is. FWIW, I just picked up a copy where Xtal is perfect. Nice and loud with no unwanted noise. My copy has the same matrix of A0000019480-0101 but 24 A1. The SID is IFPI L554 and the DADC logo says 'AUSTRA" under it. Don't know if this makes this entry incorrect (in that there is an Austria version made with these codes) or if my press warrants an entire new entry. A purchase of this repress is a step closer to getting a repress of Aphex Twin's "Classics", which I'm in full support. 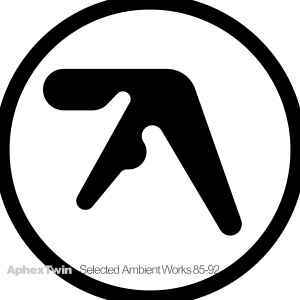 Not that I don't enjoy SAW 87-92 by its own right, it has songs like "Heliosphan" that resonate with me. As an aside, despite not being distributed by Warp, it's just as clean of a press as a few Warp-based Aphex Twin LPs I owned. Vinyle et CD Vendre votre copie. Coloured Vinyls in Electronic Music par WildDragon. Essential IDM/Downtempo etc par .303.